By this customer account is automatically created and they can login in UVdesk using their Google credentials and see tickets on their dashboard provided Google Login is enabled by the administrator. On the Dashboard, you will see "APP CENTRE" menu and under it, you will find "Youtube App". 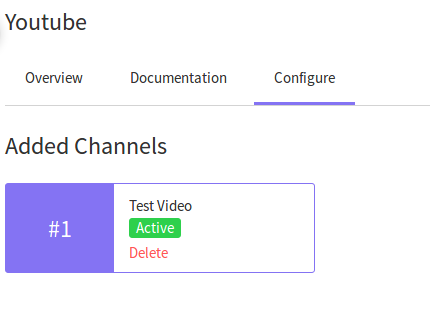 Once you click on Youtube App, you will see two option "Overview" and "Documentation". 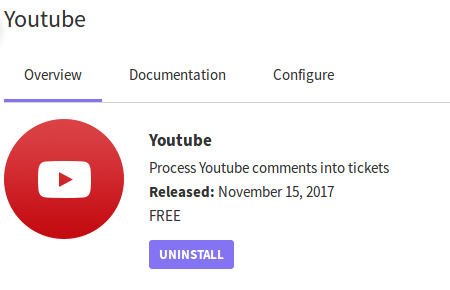 In the "Overview" section, you will see Install button. 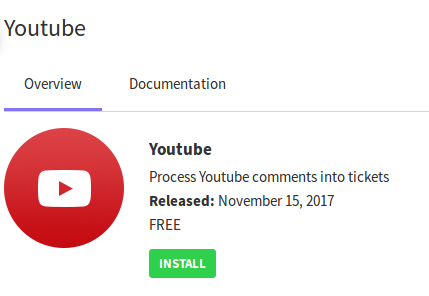 Click on that button and Youtube App will get installed. Alternately, for uninstalling the app, you can go to Youtube App "Overview" section then click Uninstall button. 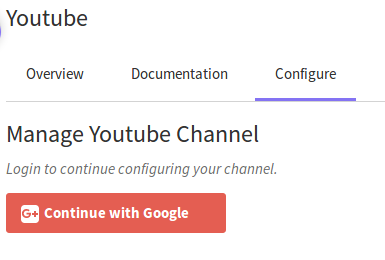 Now go to the "Configure" tab and click on "New Channel" to add Youtube App Channel in the UVdesk. If your Google session is inactive, you need to log in to Google. Click "Continue with Google" option. 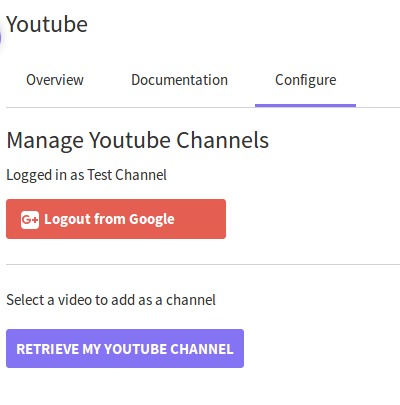 Once you are logged in, you need to click on "Retrieve My Youtube Channel" which will then fetch all the youtube videos uploaded to your account. 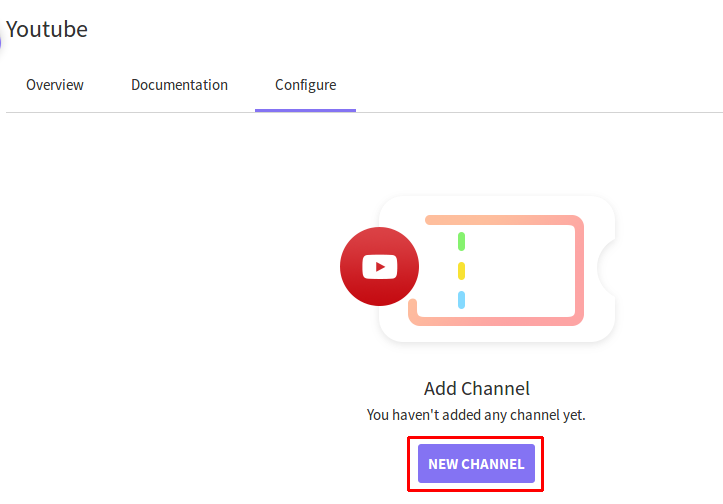 Under "Videos Available for channel Integration, you need to select the videos you'd like to subscribe to channels and for which you want to receive tickets upon any comments by the user. 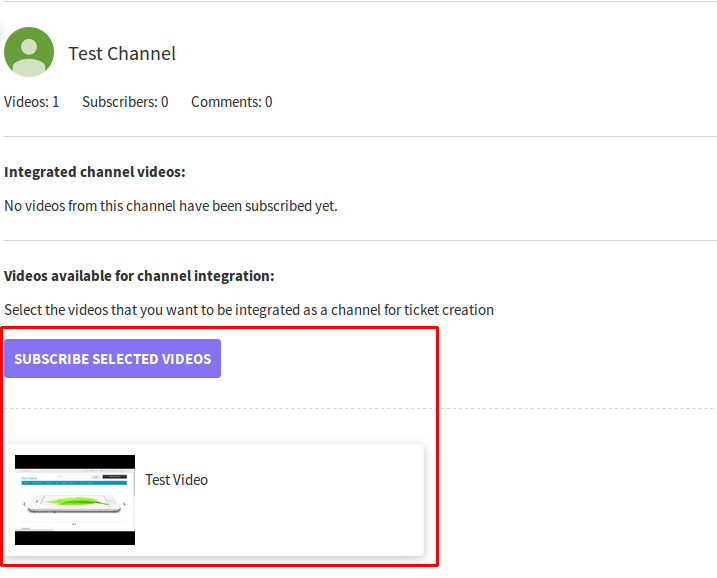 You then need to click "Subscribe Selected Videos" button after which your youtube channel will be integrated. 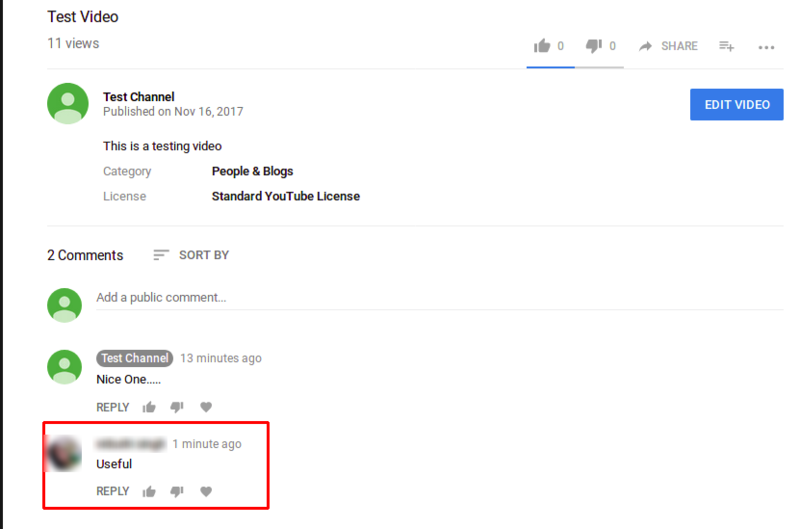 Now your Youtube App has been successfully integrated, any comments from the user on your selected video will be shown as tickets on your UVdesk dashboard.